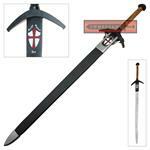 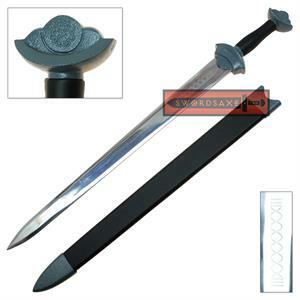 This is an officially licensed VikingKnights™ original full tang steel claymore sword, which is perfect for inquisitor and crusader knight costumes. 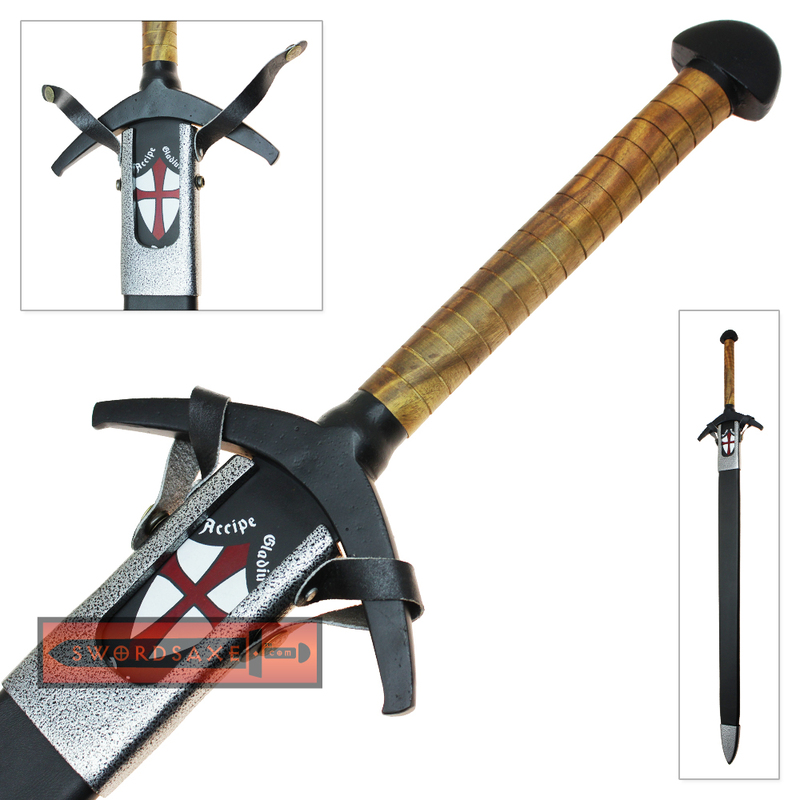 The stainless steel blade features a fuller (blood groove), and a painted ricasso, which depicts an awesome shield emblem. The emblem is featured on both sides of the ricasso, and has a Latin inscription that reads: “Accept the sword of God.” The hilt of this awesome sword is handcrafted from hardwood and aluminum alloy parts, for a durable construction. 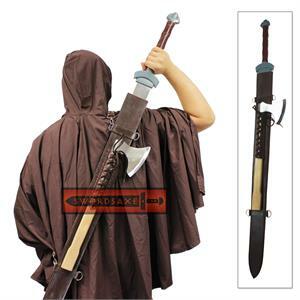 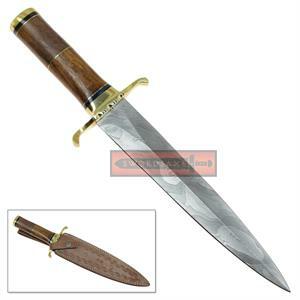 The scabbard is made from wood wrapped in black faux-leather, and is capped with aluminum zinc fittings. This is an excellent choice for a huge range of medieval knight cosplay and reenactment scenarios. 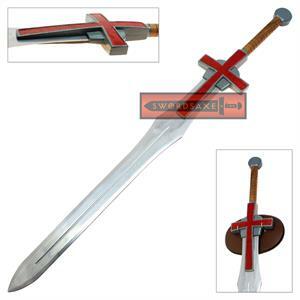 Wielded by the mysterious Inquisitor Tadious, the divine sword "Sanctus Iustitiae", Holy Justice, is a prized relic of the church. 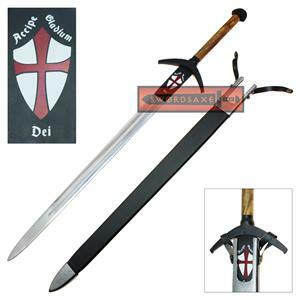 The barer of this blessed sword is granted holy authority by the church to pass immediate judgment and sentencing on any who might be enemies of the faith. The powers granted by the blessing of Sanctus Iustitiae are unique to each wielder, and by holy decree, the barer of the sword is to hold the secret blessing between himself and God. Latin Translation: "Accept the sword of God"